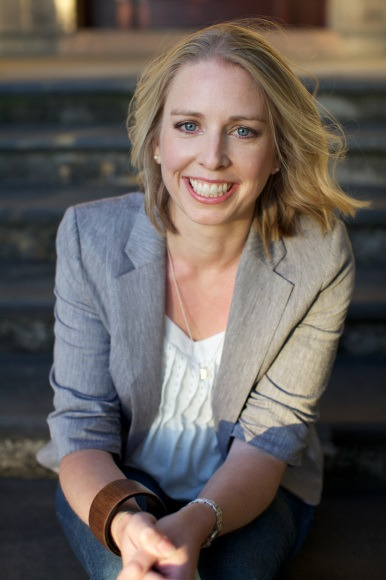 This week we talk to author Hannah Richell, mum of two and author of two amazing books, Secrets of Tides and The Shadow Year. I wake up any time between 5.30am and 7.00am, depending on what time the kids jump on me. I am a morning person – I do my best work before lunch – but I’m never properly awake until the first cup of tea. The first thing I do when I get up is put the kettle on. It’s cold at the moment, so I’ve been wearing cosy (but deeply unsexy) flannel pyjamas to bed. I try not to leave the house without breakfast, but some days it’s all just too much of a rush and it’s often my breakfast that gets sacrificed. My husband leaves for the office very early, so on weekends, when we’re both around, we take things A LOT more slowly. I shower in the mornings. It wakes me up and helps me feel ready for what’s ahead. I wish it were luxurious but it’s usually rushed. I love that it’s the one space the kids can’t get to me. I often have my best writing ideas in the shower but of course then it’s a race to get to a notepad, dripping wet, before I lose them (or accidentally flash the neighbours). I’d love to be one of those women with a neatly-organised, colour-co-ordinated closet, shoes in boxes with polaroids taped to the front, everything visible and close to hand, but there is no science to my wardrobe. It’s just a random jumble of whatever takes my fancy. Being a writer means I have no uniform and no real need to dress smartly, (unless I actually fancy it that day) so it’s usually skinny jeans, t-shirts and boots or flats. If I didn’t have to get the kids out of the house in the mornings, I’d probably still be wearing my pyjamas at the end of the day. On the days my children are out of the house I work from home, at the kitchen table. On the days our lovely nanny comes to us, I work at my studio. I’ve just moved in and I’m loving having my own room where I can pin things to the wall and spread my books and papers all around me. It’s just a short walk from where we live, so it’s perfect. I try to arrive by nine am and return home at five thirty pm. Before I became a full-time writer, I worked in marketing, so I’m very used to the office 9-5. I first started to write on maternity leave, as a way to keep the creative side of my brain functioning while I was at home with a small baby. Once I had a full manuscript I sent it out to literary agents in London and got very lucky with a global publishing deal. Now I’m a published author I get paid to work in my own space, on my own schedule, on my own ideas. There’s nothing I like more than following the thread of a story. It’s the most fulfilling work I’ve ever done. When I’m absorbed in my writing the rest of the world just falls away. It’s a very satisfying feeling. On the days when things aren’t going so well I’m a terrible procrastinator, especially when I’m working from home. Suddenly, even cleaning the oven can seem appealing! I work in a small room in an old Inner West sandstone pub that has been converted into private offices. I’ve positioned my 1950s desk (bought on ebay) in front of the sash window and there’s a beautiful gum tree that rustles against the glass on windy days. I also have a comfy reading chair, a beautiful patchwork quilt that my husband gave me, my digital radio, some books, a heater and fingerless gloves for the colder days. That’s about it. I’m not a snacker but I like to get out at lunchtime, to stretch my legs and get some air. I usually walk to a local café for lunch, or take sushi to the park. Aaaargh. Now I feel guilty. Exercise always makes me feel so much better in myself and can jolt me out of a creative block … but I’ve totally fallen off the wagon these last few months. I joined a gym recently but get there woefully little. Right, that’s it: I’m going tomorrow! When my first novel was published my kids were momentarily excited. ‘Are there dinosaurs in it?’ my son asked. Since then, they’ve both become quite blasé, although they do like to point and shout when they see my books on the shelves in bookshops, which can be quite embarrassing. My greatest hope for my children, in terms of their careers, is that they find something they love doing, something that doesn’t feel like work because they enjoy it so much. I don’t mind what that is, as long as it doesn’t hurt anyone else. I’d love to say that we all sit down together every night and share stories of our day over a home-cooked meal, but that would be a big fat lie. My children eat earlier, usually something my nanny or I have prepared for them. The thing my husband and I stick to, vehemently, is the bath-books-bed routine. Both kids love their bedtime stories and there is nothing I love more than that warmth and closeness at the end of the day as we read together. It’s something my parents shared with me and I know how much I value those memories, even now. Later, my husband or I cook and eat together. He’s a much better cook than me. At the weekends we try to all eat a family meal together – usually one of my husband’s amazing roasts. It’s noisy, messy and fun. The last thing I do at night is check on the kids: I love watching them when they are asleep, so still and peaceful. The sight of them never fails to melt my heart. As soon as I got my book deal, my husband and I realised that we would need more help. Not having family nearby (we emigrated to Australia in 2005) means that our friends are very important to us. Also, over the last couple of years, we’ve had help from the local childcare centre (which is fantastic) and a nanny helping us out a couple of days a week. When I have to travel things get a lot harder, so we really couldn’t do it without their help and I don’t feel guilty about it because the people we’ve employed have been wonderful at caring for our children. The flipside is that they get a happier, more fulfilled mum out of it. What I do feel guilty about is taking my children away from England, and the closeness of our extended family. That ‘village’ saying haunts me and I sometimes wonder if we did the right thing moving so far away, especially now I’m working fulltime. I am a good sleeper and need eight hours a night to feel human. I like to read before going to bed – it really relaxes me. I hate napping during the day because I feel like I might be missing out on things, and I detest that disorientated feeling on waking up. I struggled to nap, even when I had very young babies. The most strategic thing I do is to make sure my son’s lunch box has been emptied and washed the night before. Our biggest morning battle is trying to get both my children dressed, so perhaps I should try that going-to-bed-in-school-clothes trick? Laying my boy’s clothes out the night before certainly doesn’t seem to work! Hannah Richell was born in Kent and spent her childhood years in Buckinhamshire and Canadas. After graduating from the University of Nottingham she worked in the book publishing and film industries. 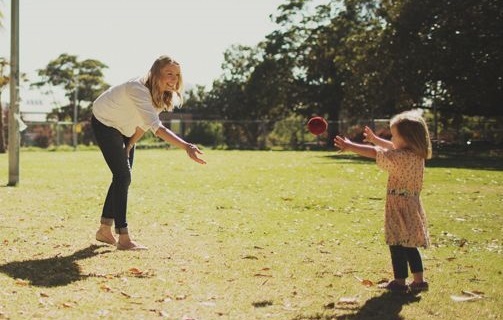 She now lives with her husband and two young children in Sydney. Her debut novel Secrets of the Tides was a bestseller. 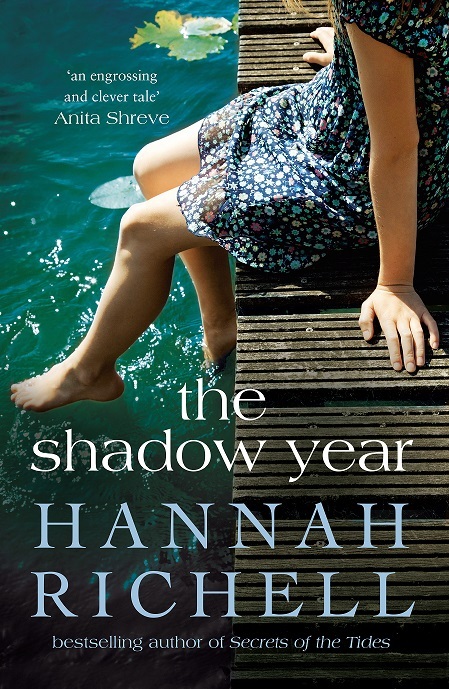 Her latest book The Shadow Year is out now.